Rig Source has worked with Terracon on many projects before, but this was especially exciting because this was the first CME 55 remount on a new Terramac RT9 crawler carrier! Terracon’s consulting engineers provide companies with a streamlined, consistent approach to procuring geotechnical, environmental, construction materials engineering and testing, and facilities services throughout the United States. The Terramac and CME 55 drill rig were delivered to St. Louis so it could go right to work! If you need to mount your auger drill onto a crawler carrier for increased versatility, give Rig Source a call today at 630-365-1649. 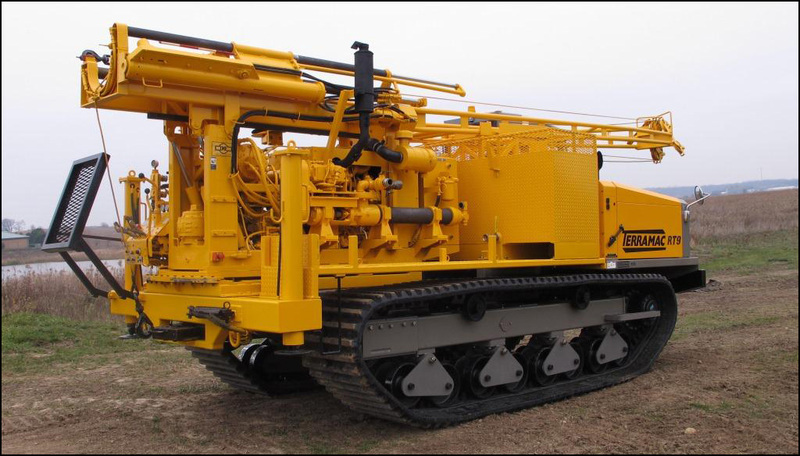 Or email us and let us know that you’d like to receive updated listings of drilling equipment and rubber track crawler carriers for sale and for rent.